There have been a few fine 17th century exhibitions in London over the past few years: Peter Lely at the Courtauld, the fantastic In Fine Style: The Art of Tudor and Stuart Fashion at the Queen's Gallery, The Lost Prince: Henry Stuart at the NPG and the William Dobson 400th anniversary celebration at Somerset House. THE ‘JUXON MEDAL.’ ALTHOUGH OFTEN REFERRED TO AS A ‘MEDAL,’ THIS GOLD PIECE IS ACTUALLY A PATTERN FOR A FIVE UNITE (FIVE POUND) COIN (M.I. 374/270; 38 MM.). IMAGE COURTESY OF THE TRUSTEES OF THE BRITISH MUSEUM. 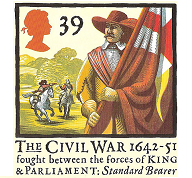 Books on 17th century military campaigns rarely mention the award of medals. Beyond the odd token of appreciation handed out by the monarch, I was unaware of them being routinely issued at all. So it was fascinating to learn that the practice became increasingly common during the 1640s, with medals from the period highly prized by collectors today. Here's a behind-the-scenes look at Wolfwalkers, an animated feature from the makers of Oscar-nominated film Song of the Sea (2014). 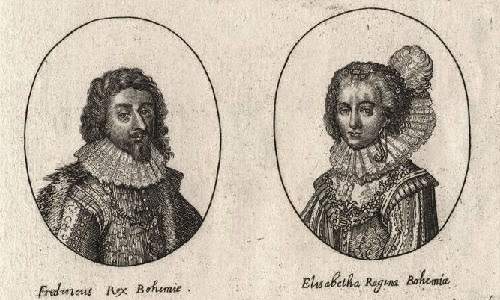 Today marks the 404th anniversary of the marriage of Elizabeth Stuart (sister of Charles I) to Frederick, the Elector Palatine.